Sierra Foothills Music Together - Our Teachers Love to Make Music With You! Our Teachers Love to Make Music With You! Our teachers are passionate about music and the development of children. They create a fun, play-based experience that spurs engagement and inspires each child's musical development. Teacher Beth Gillogly, the Center Director of Sierra Foothills Music Together, loves teaching Music Together and sharing her passion for music with children and their parents and caregivers! Beth plays ukulele and piano, and dabbles in harp and violin, but her main and most beloved instrument is the human voice. She has been singing since she was a very small girl, and she now enjoys singing all day with her daughter and any other children she meets! She studied classical voice for more than 15 years, and has nearly 20 years of experience performing as a member and soloist in choirs ranging from small, a cappella Renaissance groups to large 80-voice choirs. She has also had many years of experience as a cantor/song leader for churches in Sacramento and the Bay Area. She earned a B.A. in English with a minor in Music from Santa Clara University, and a Master’s Degree in creative writing from New York University. 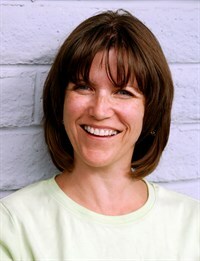 Beth is a Registered Music Together teacher and has taught in Auburn since 2005. She became director of Sierra Foothills Music Together in 2010. Teacher Beth also croons 20s, 30s, and 40s jazz tunes with The Crackerjack Jazz Band. She also belts out Pat Benetar and other rock favorites with a cover band called The Hip Huggers. 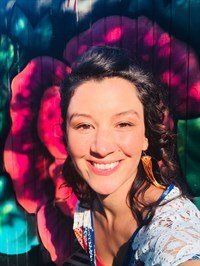 Teacher Nina Colette Rechany became a Music Together teacher through the inspiration of her mother who is the center director for Music Together in Sebastopol. Nina and her daughter attended Music Together classes taught by Nina’s mom, and it was here that Nina fell in love with the dream of one day following in her mother’s footsteps. Growing up in a musical family, Nina was surrounded by song and dance ever since she can remember. When she was 10, she auditioned and was accepted into the San Francisco Girls Choir. Singing with more than 300 girls, Nina learned songs from all over the world performing in churches, schools, convalescent homes, and Davies Hall. In high school, Nina sang in the Honors Choir, and in college she studied jazz, hip hop and Afro Hatian dance styles, where she presented choreographed group dance pieces for her community. Nina has a lighthearted child-like spirit, and her enthusiasm is contagious. She has a joy for teaching children and learning from them, too. 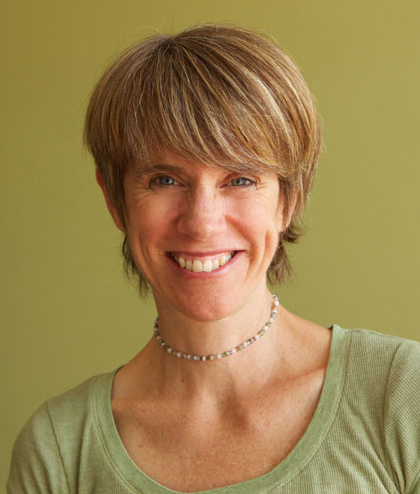 She has taught children in wilderness camps and preschool, and she is absolutely delighted to be teaching Music Together in the Sierra Nevada Foothills. In her free time, Nina enjoys spending time with her family in the vegetable garden and adventures in nature. She is also an aspiring singer songwriter composing music in her home on her guitar and piano. Teacher Annie Keeling loves teaching, music, movement, children--and any chance to bring them all together. She took her infant son to a Music Together class and fell in deep regard of the program and organization. She started teaching in 2003--and also has the next level of Music Together education: Certification I. With an MFA in Dance from UCLA and a BS in Dance Education from the University of Wisconsin, she focused on early childhood development, dance, music, and psychology. Annie's musical background includes chorus, clarinet, and guitar. She also danced professionally in Los Angeles and directed Moving Arts Dance Company of LA and then San Francisco. One of her favorite memories is participating in the high-stepping, award-winning UW-Madison marching band. Another is playing guitar for church groups in her parents' home at the age of ten. Annie loves teaching a program that is research based with a solid foundation in how young children learn--not to mention the joy and laughter that families exhibit as they get hooked on experiencing the powerful world of music-making with their child. In addition, she is a parenting coach and teaches local parenting classes at The Nest in Grass Valley. Teacher Anne Vaaler has taught Music Together since 2007, and she LOVES playing with music and children and bringing families and music together and hearing what happens--it's magical! Outside the MT classroom, she has been directing choirs since she first lined up her dolls, bears, and younger siblings and told them to “watch me!” Anne has directed choirs and taught music for the San Francisco Children’s Chorus; the San Francisco Conservatory of Music; the San Lorenzo Unified School District; the San Francisco Unified School District, particularly George Washington High School where she directed a choral program of seven ensembles, as well as serving as music director for two theatrical productions each year; and now serves the Pleasant Ridge United School District in Grass Valley, directing four award-winning choirs at Magnolia Intermediate School and teaching general music at all three elementary schools. Like many music teachers, she instructs more than 1,000 children every week. 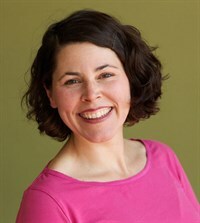 She has been awarded the California League of Teachers “Outstanding Educator” award, and was honored by San Francisco Mayor Willie Brown for her work with the George Washington High School choirs. She has served as a clinician and adjudicator for numerous choral and solo/ensemble festivals, and was part of a People-to-People delegation of music teachers to China in 1998. Since 2014, she has served as the director of the Colla Voce Children's Chorus.